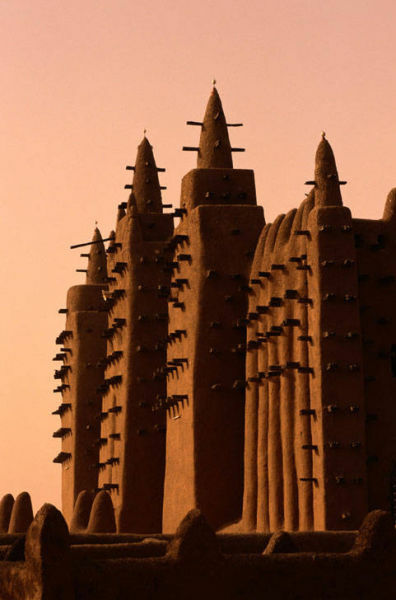 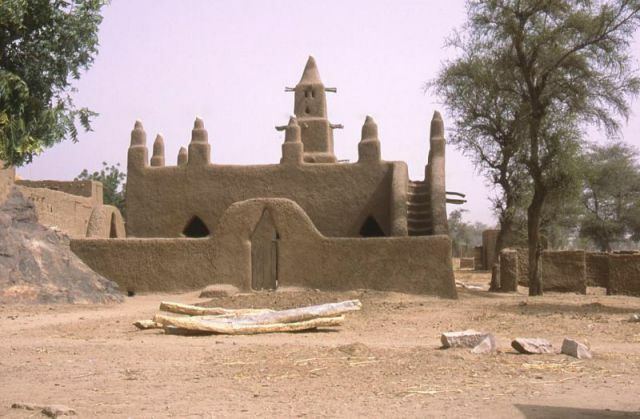 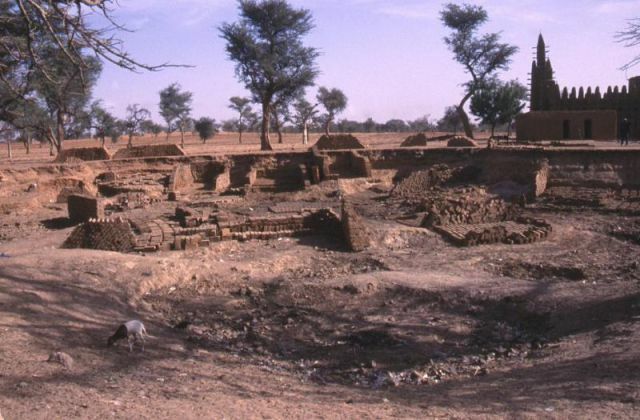 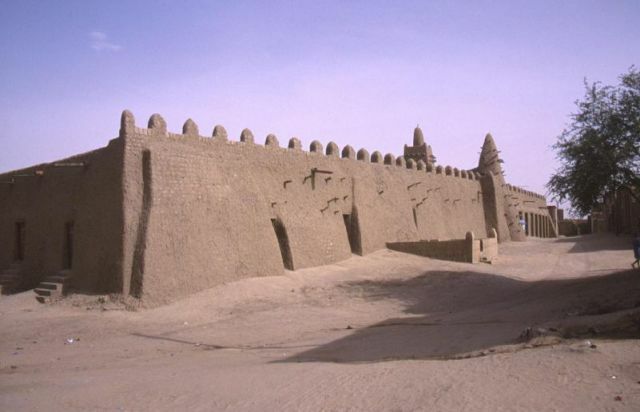 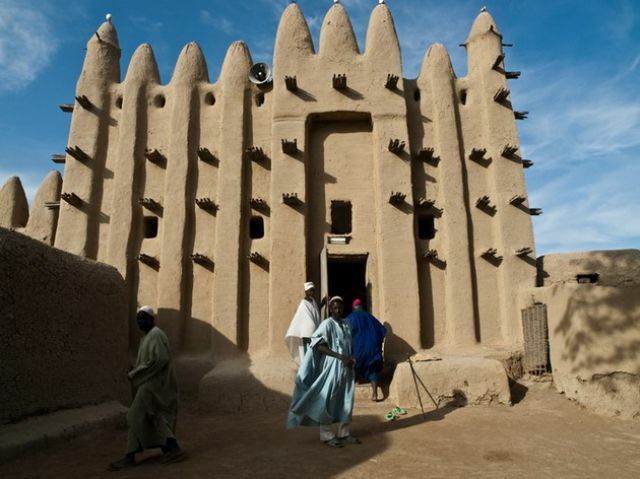 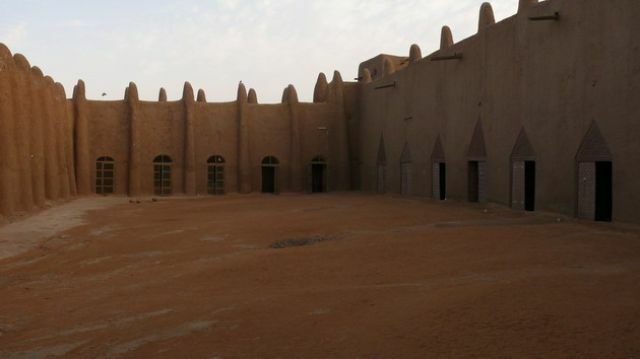 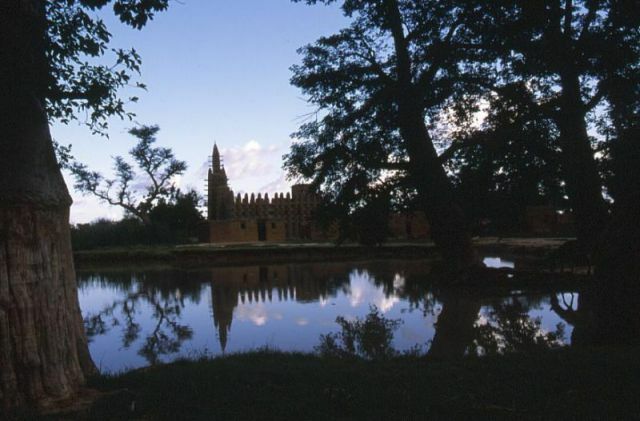 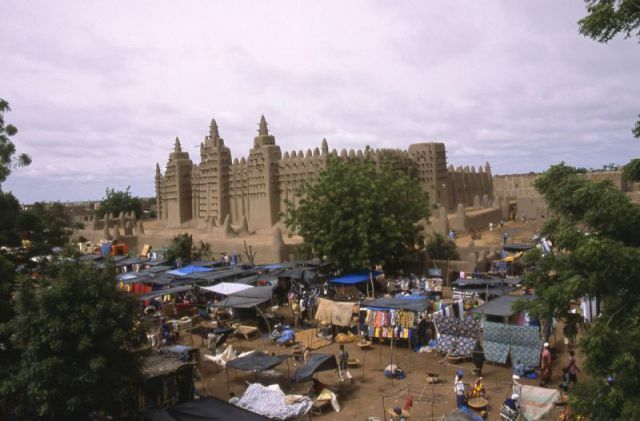 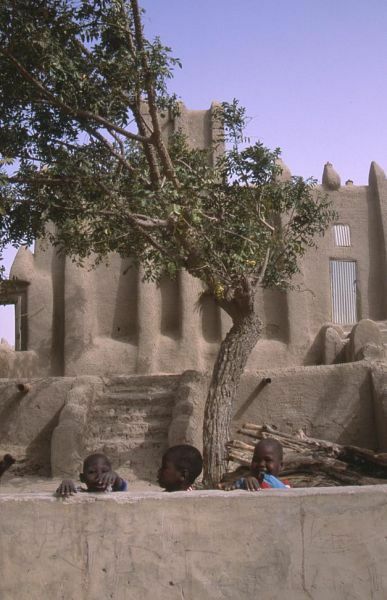 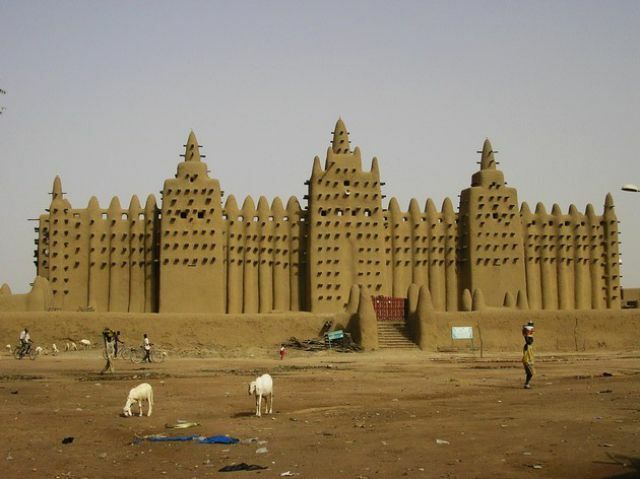 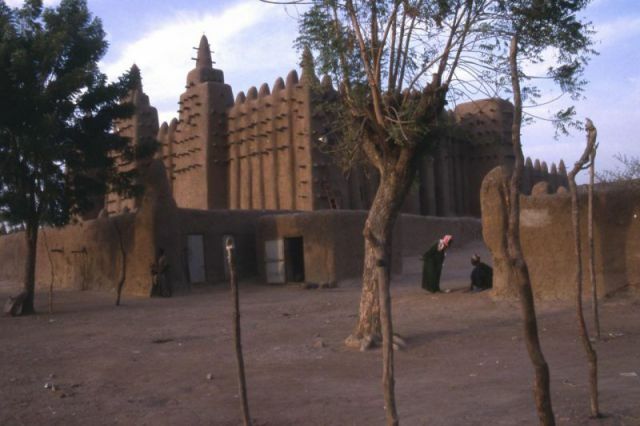 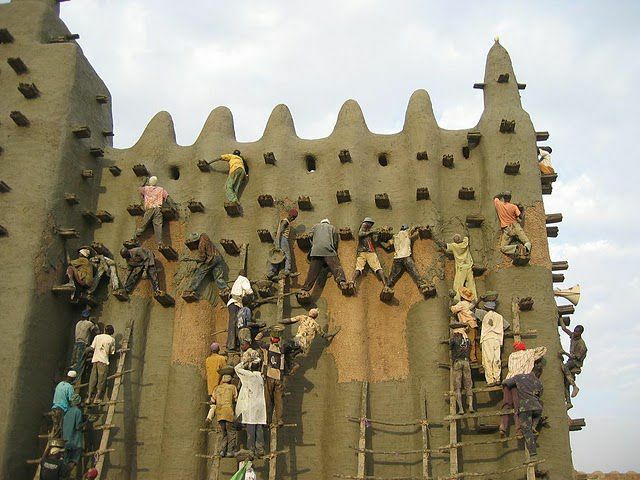 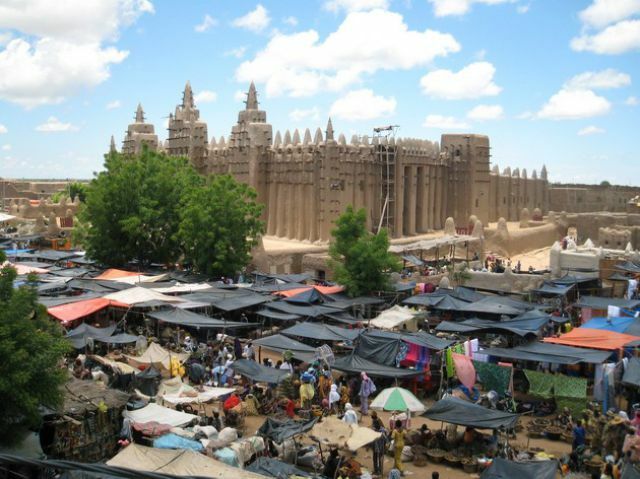 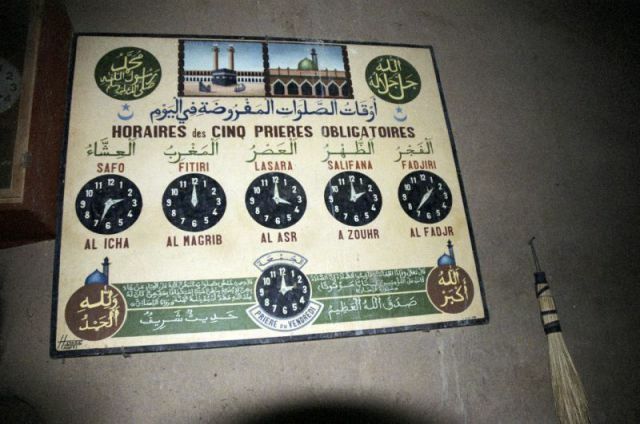 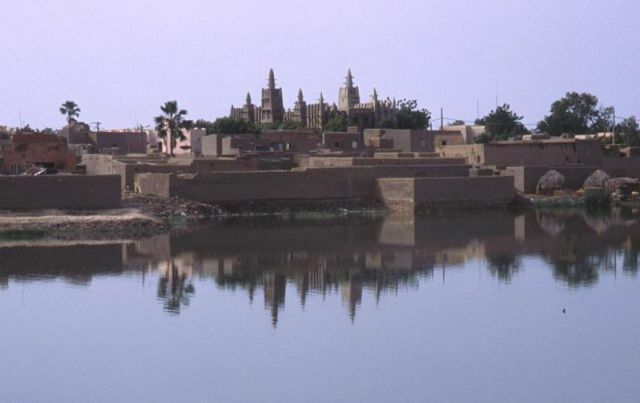 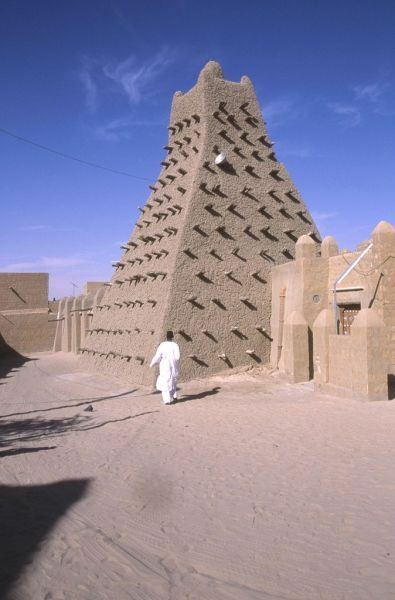 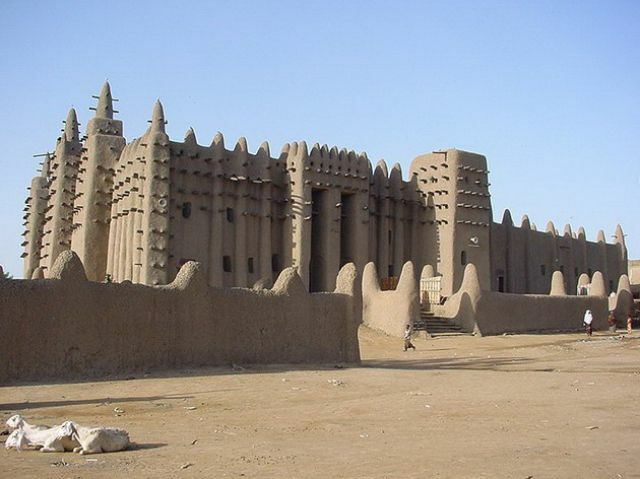 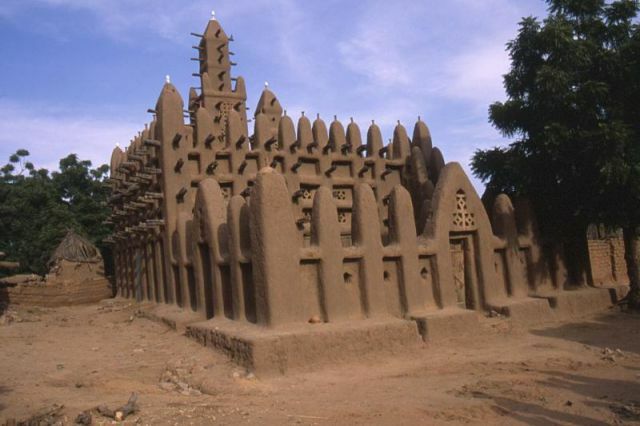 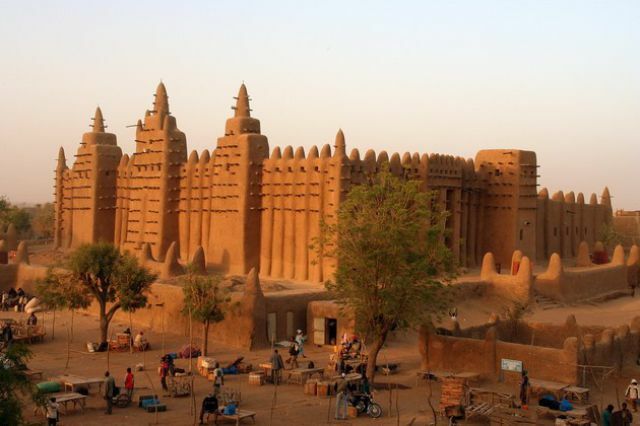 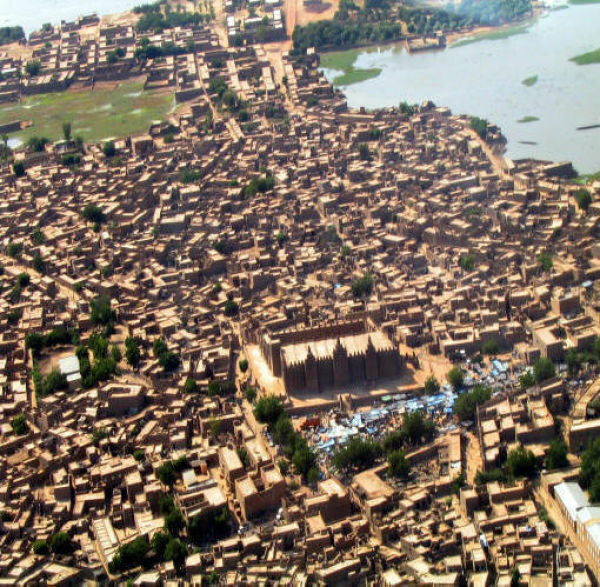 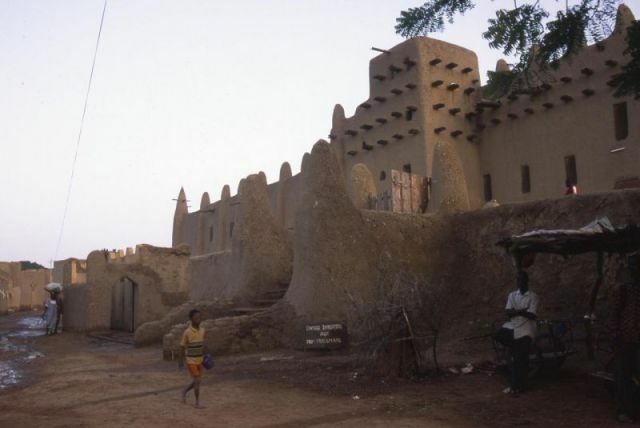 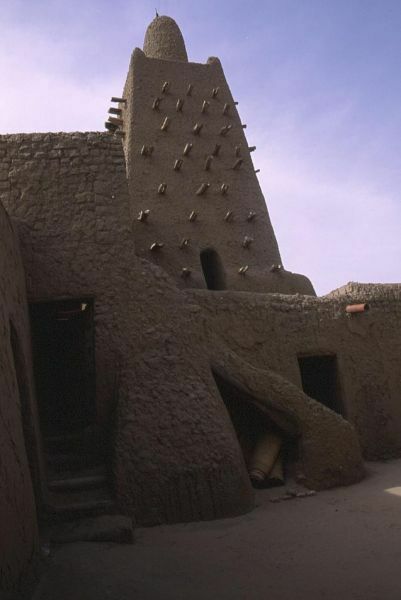 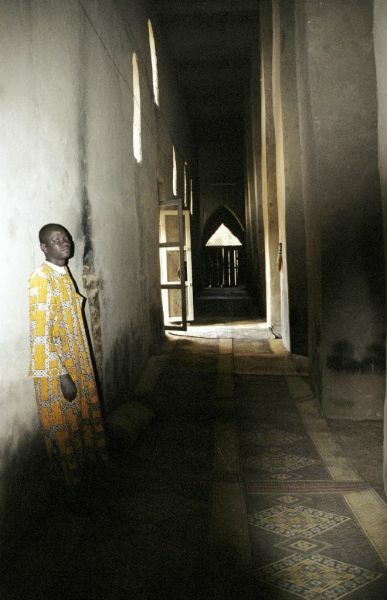 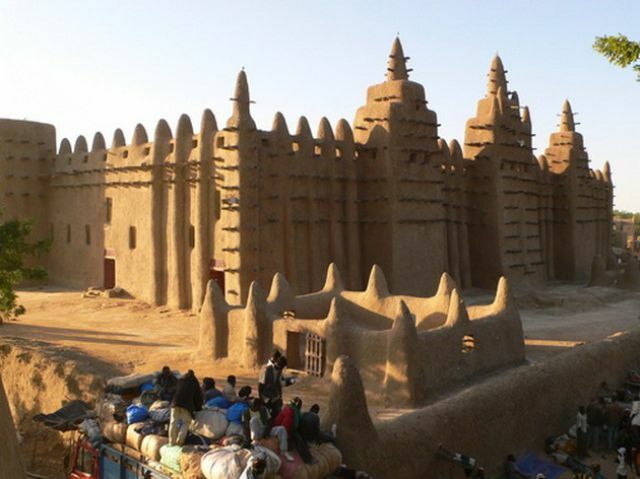 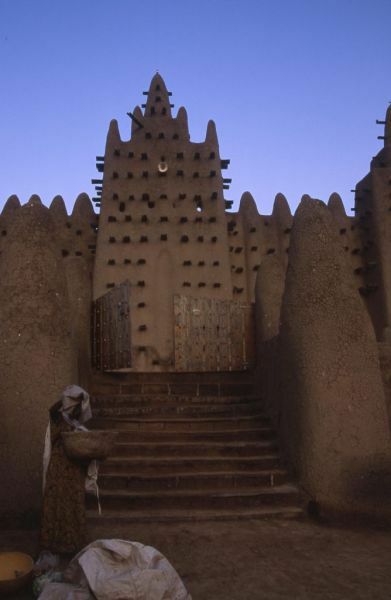 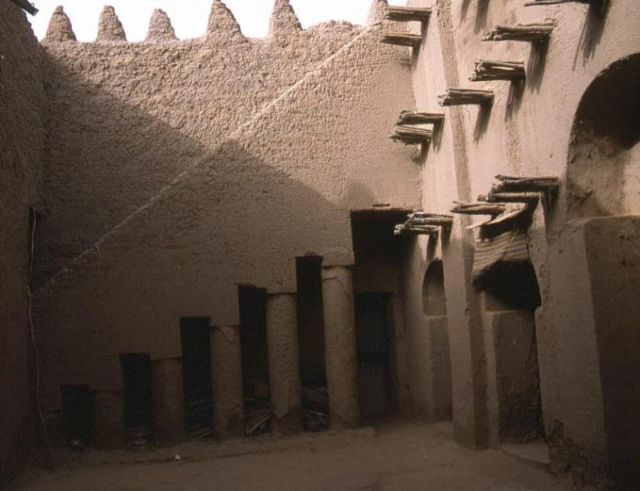 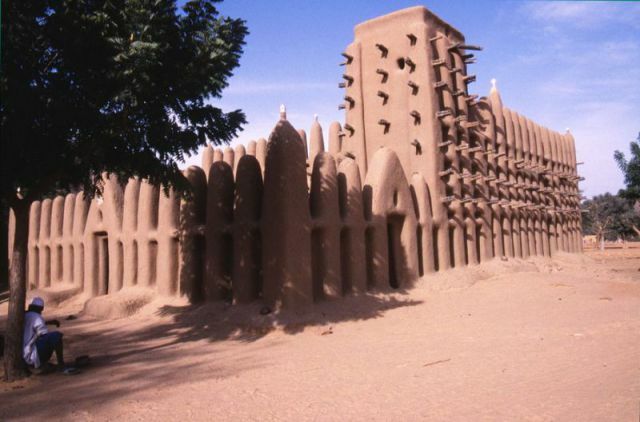 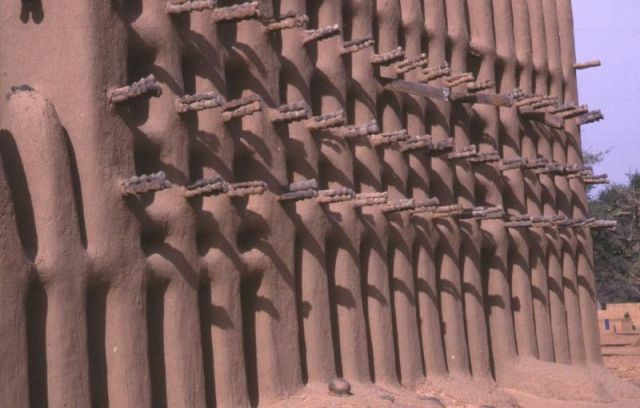 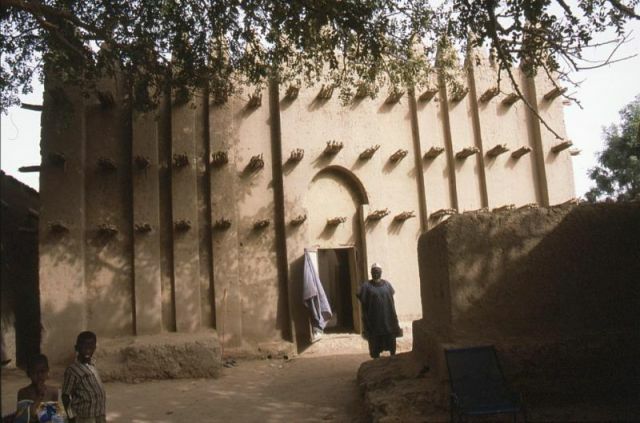 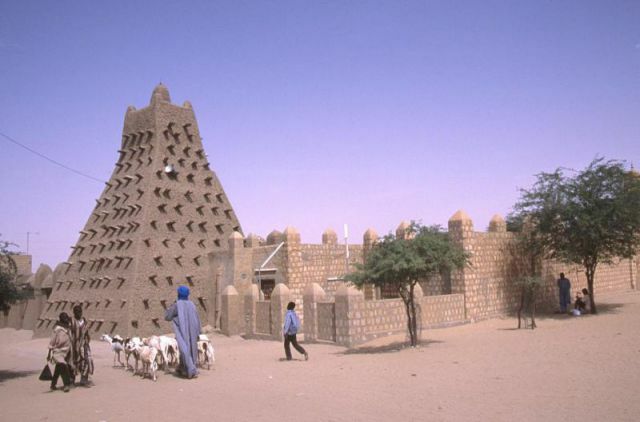 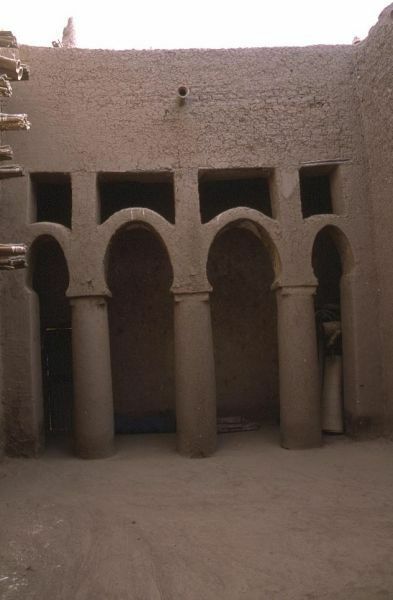 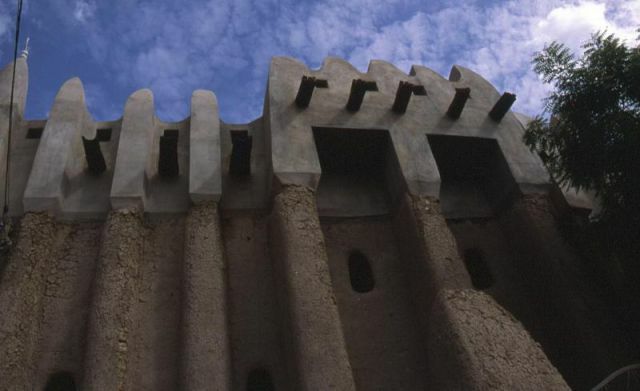 The largest mud building in the world is the great mosque in Djenne. 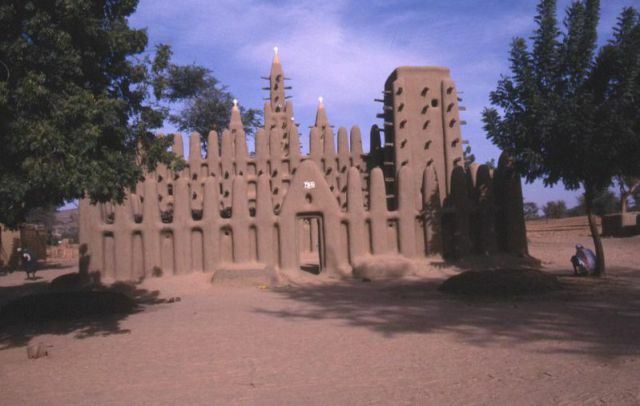 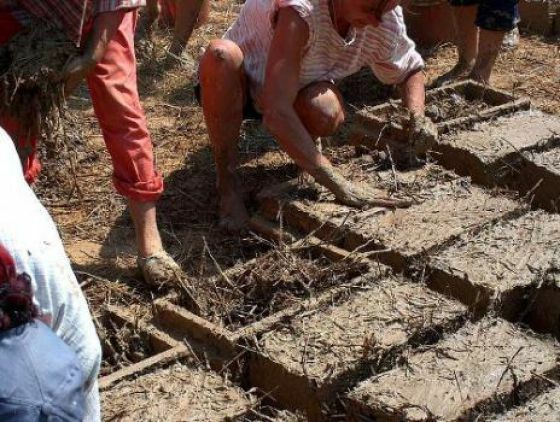 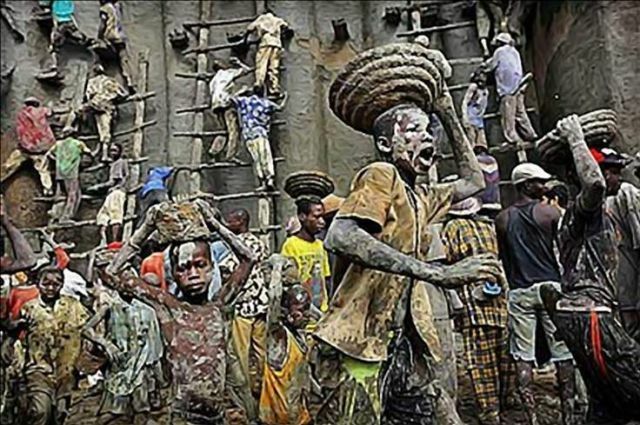 It is made from animal dung and mud. 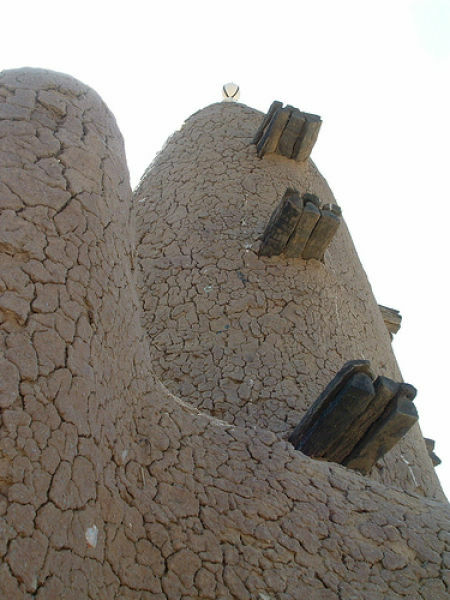 The mud bricks form the organic shapes. 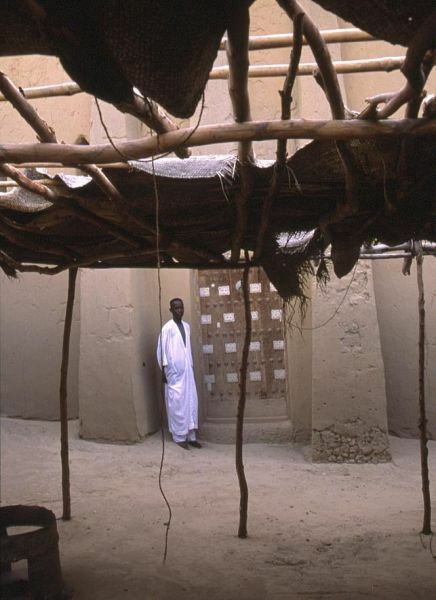 Frequently, there will be pottery, calabash, or ostrich eggs on top of it to prevent its destruction from the rain. 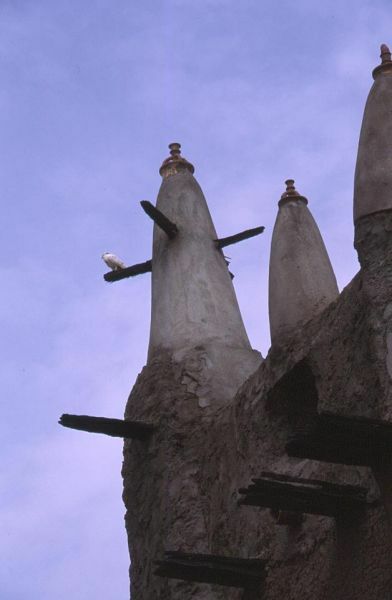 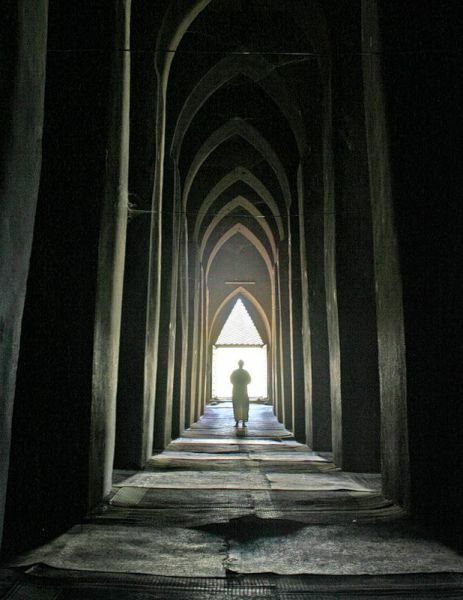 The timbers that protrude from the mosque provide the scaffolding that is permanent. 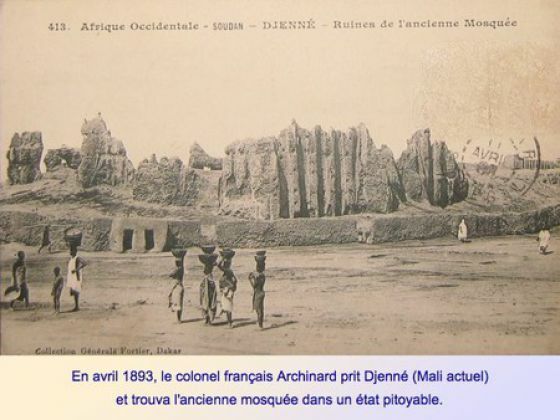 As much as I would like for the Djenne mosque to be the "biggest mud building in the world", I am afraid that this title belongs to a number of the mud skyscappers of Shibam, Yemen. 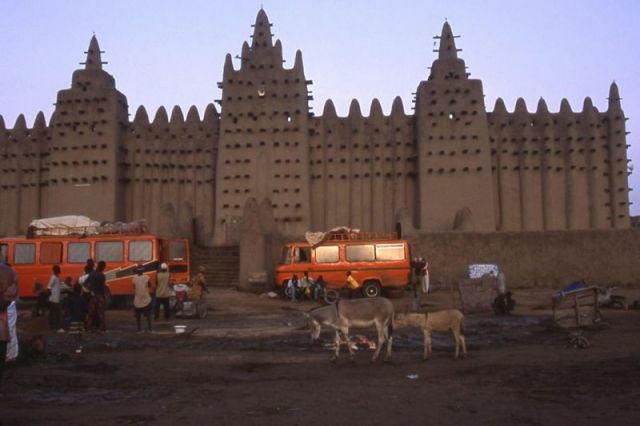 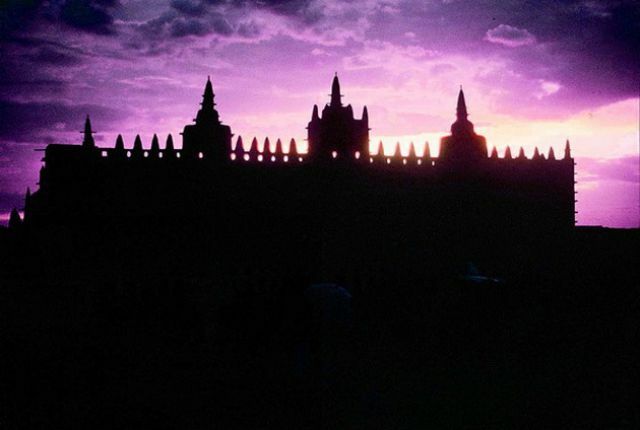 At least the UNESCO seems to think so, having badged both as a world heritage site.